Is it ever a challenge to get your family to eat vegetables? Both my husband and I could be considered veggie-lovers, me being more of the raw veggie fan, while he prefers to dress his greens up a little. It’s easier to get your family on board with veggies when you find recipes and ways to dress up your greens! One of my favorite things to keep in my vegetable drawer is a bag of broccoli slaw. They sell 12 oz. and sometimes 16 oz. bags in the produce section of the grocery store. 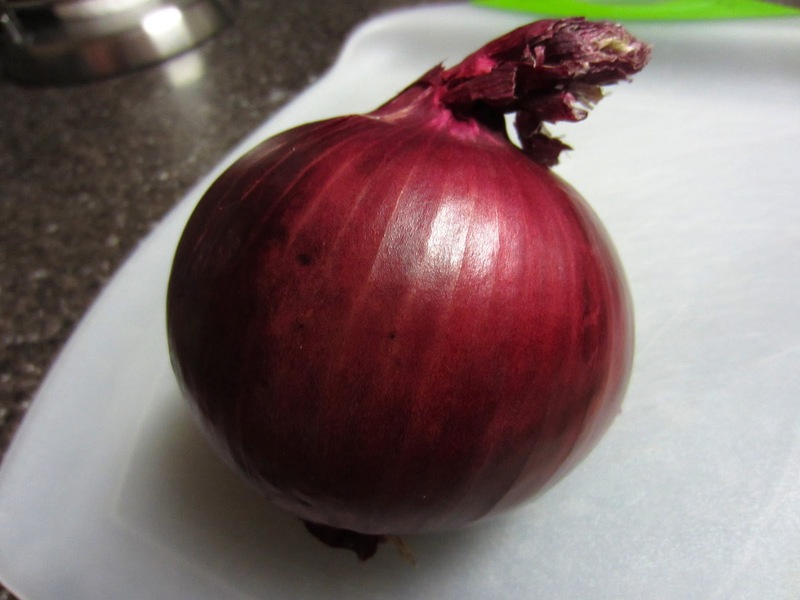 You can steam it, mix it into a salad or add a few easy ingredients to it to make a great side dish for your next pot luck or backyard barbecue. Whenever the bags of veggies go on sale at the grocery store I stock up! 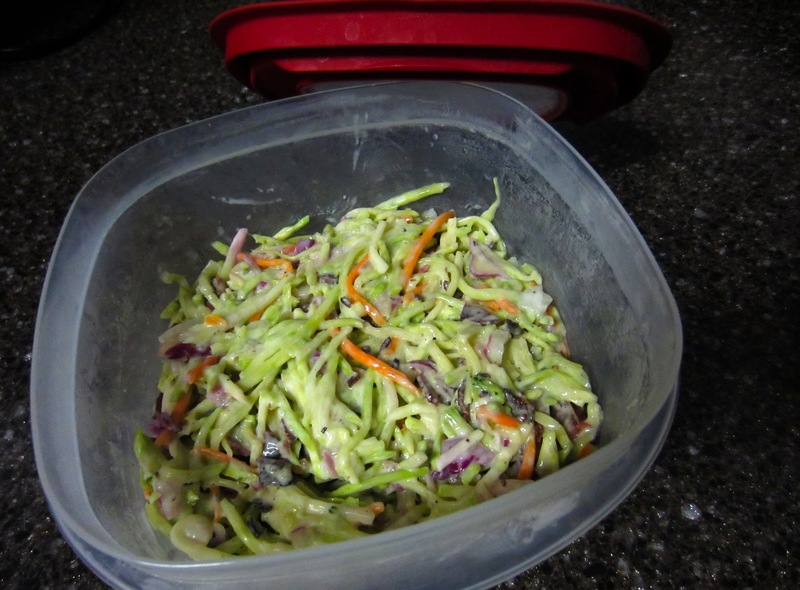 I like to pre-make side dishes I can put in the fridge and quickly pull out for dinner that night, or even to snack on for a few days. 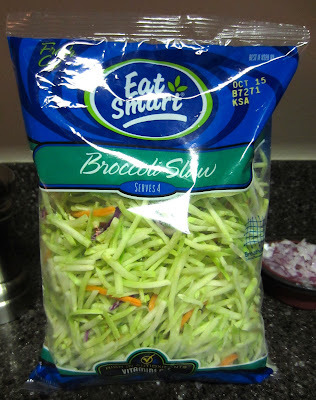 I’m going to start with a broccoli slaw recipe I make when I’m bringing it to a party or event, but I have a quicker and easier 5-minute version a little later on in the post. To make broccoli slaw: cook bacon in a large skillet over medium heat, turning frequently. 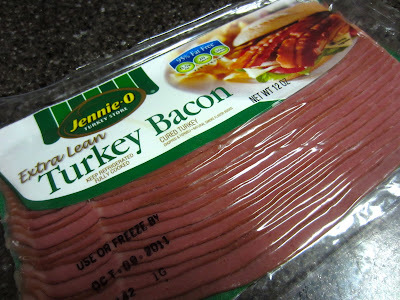 I use Jennie-O brand turkey bacon. 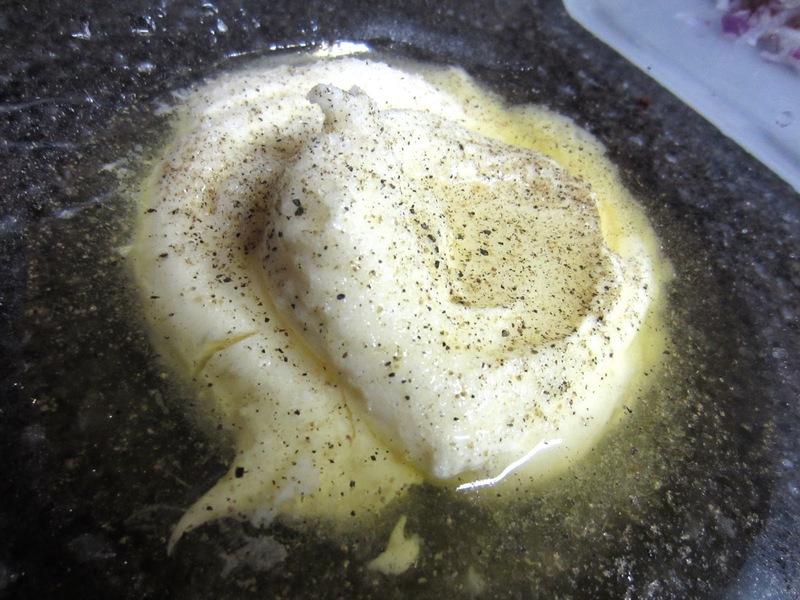 If you prefer to microwave, do so on High for 2 1/2 to 3 minutes. 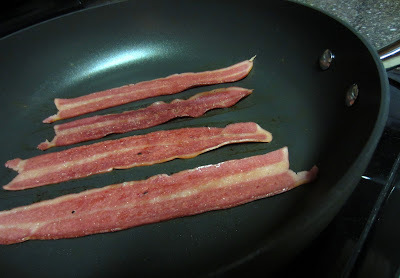 Drain bacon on paper towels, chop coarsely, and put it to the side. Whisk mayonnaise, vinegar, sugar, salt and pepper in a large bowl. Add turkey bacon, onion and broccoli slaw and toss to coat. 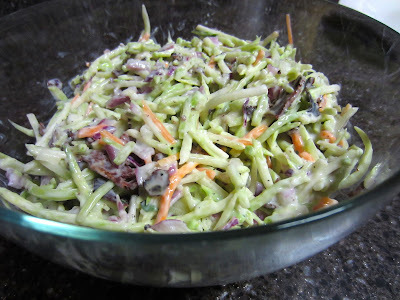 To make broccoli slaw snack: Whisk mayonnaise, vinegar, sugar, salt and pepper in a large bowl. 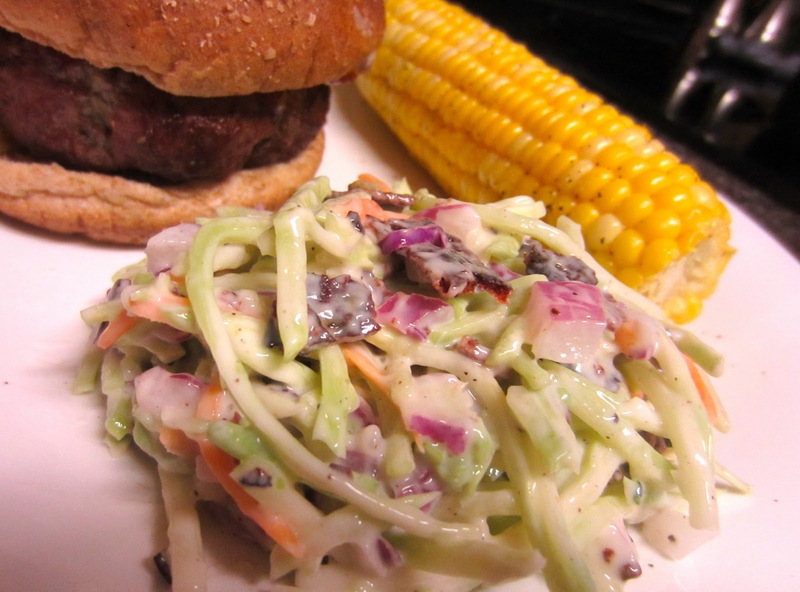 Add in broccoli slaw and toss. Enjoy immediately or store in fridge for up to 2 days. 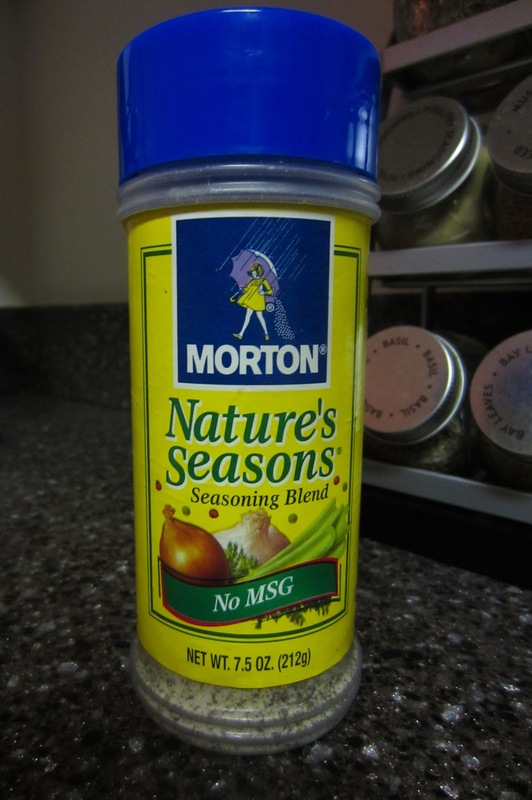 *TIP: Have you ever tried Nature’s Seasoning? 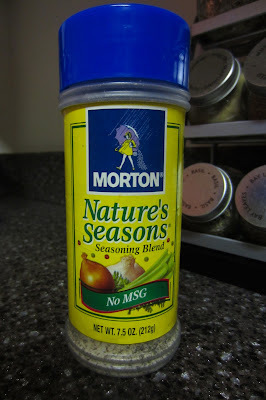 It’s made up of salt, pepper, garlic, onion and a few other natural seasonings for a one-stop seasoning addition to your food. 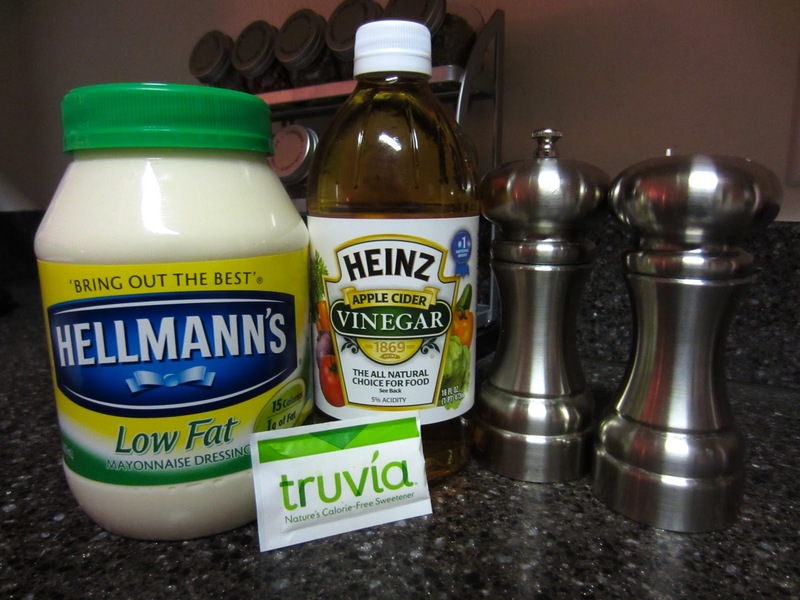 I LOVE this stuff and will often even replace the need for salad dressings with it. It’s great on cucumbers, tomatoes, cottage cheese and especially broccoli slaw! If you go with Nature’s, just skip the salt and pepper step of the recipe. What are some of your favorite slaws or slaw recipes?